A host of Burnley players have played for O'Neill during his time in charge, including Robbie Brady, Jeff Hendrick, Kevin Long, Stephen Ward and Jon Walters, while Jimmy Dunne was on the bench for his last international on Monday in Denmark. Indeed, Hendrick claimed the most caps of any player during O'Neill's reign, playing in 27 of his 32 games, while Walters was joint top-scorer, along with James McClean, with six goals. 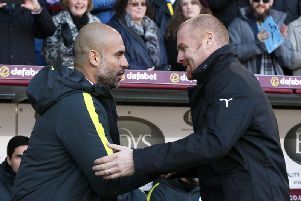 Manchester City boss Guardiola well aware of Burnley’s threats- but does he know of the Clarets’ remarkable record?